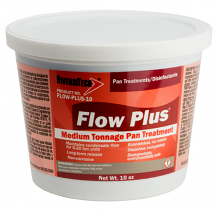 Equiparts carries a selection of chemical products for commercial hydronic pumps, heat exchangers, and boilers. Our inventory includes products from Diversitech, which include a 10 oz. 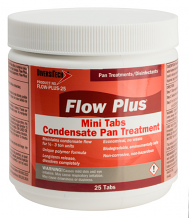 tube of Flow-Plus Condensate Pan Treatment for commercial buildings, a 25-count of Flow-Plus Condensate Pan Treatment Tablets for multi-housing units, a 100-count of Pro-Treat 151 Premium Condensate Drain Pan Treatment Tablets, a 200-count Pro-Treat Condensation Economy Drain Pan Treatment Tablets & a 10 count of Pro-Treat Condensation Pan Strips for up to 3/4 ton. Call us at 1-800-442-6622 to inquire about pricing or with any questions about heat pump, exchanger, boiler chemical supplies.